New York is a proper noun. New York is (1) a Mid-Atlantic state; one of the original 13 colonies, (2) one of the British colonies that formed the United States, (3) the largest city in New York State and in the United States; located in southeastern New York at the mouth of the Hudson river; a major financial and cultural center. The following articles provide more information about the term New York. Published by The New York Times, this online version features editorial and advertising content that is intended for a New York City audience and market. Major editorial sections include World, U.S., Politics, New York, Business, Dealbook, Technology, Sports, Science, Health, Arts, Style, and Opinion. Learn about rural, suburban, and urban real estate markets in New York. Real estate agents, buyers, and sellers will appreciate the New York real estate resources on this page. 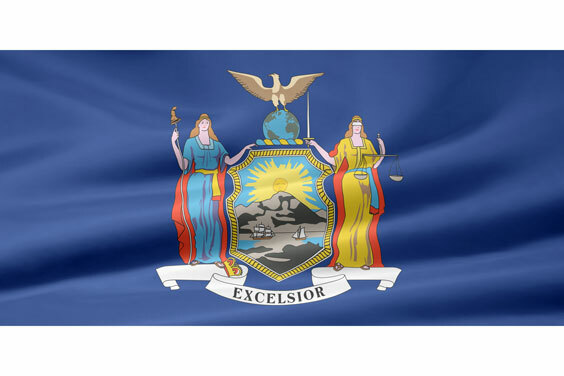 New York state history, geography, and travel information are the subjects of this New York atlas page. On this site, users can watch video reports of stories that appear in the New York Times. The site is searchable by subject and has links to sections of the New York Times online and print editions. This National Park directory page lists National Parks, Historic Landmarks, and Natural Landmarks in the State of New York. An interactive New York map, plus photos and highlights, are included thereon. The website, begun in 1995, provides full text of articles for free for one week. There is a charge for articles in the archive, which goes back to 1981. The Times is often considered the newspaper of record for important events and often publishes the full text of important speeches. The Sunday Times publishes a magazine and The Times Book Review. The New York Times Store offers hundreds of products from books to classic photographs, reprints of vintage news to posters. Users can browse by categories: sports, photographs, fine art, autographs, keepsakes, crosswords, clothing, publications, historic pages, and much more. The MTA manages transit systems and facilities in and around New York City, including city buses and subways, city bridges and tunnels, and commuter trains between New York City and its suburbs. The School of Visual Arts is a fine arts and graphic design school in New York City. Starting as a trade school with 3 instructors and 35 students, SVA has grown into a dynamic, multidisciplinary institution with more than 1,000 faculty members and over 4,000 student body members, representing 44 states and 71 foreign countries. Browse this water transportation service guide and directory to learn about water transportation services in the United States of America. The photo on this page depicts a ferry boat and a water taxi on the Hudson River in New York City. The foreign exchange market sees over twice as much trade as the New York Stock Exchange. Learn about the Forex (foreign exchange) trading market on this informative site. New Jersey is the 46th largest state in the United States. It is bounded by the Atlantic Ocean on the east, by Pennsylvania on the west, by New York State to the north, and by Delaware to the southwest. The following digital image illustrates the term New York.